Gluten-free can be a strong driver of food choices for some consumers, but what is the science behind this dietary pattern? Gluten can be a serious concern for some consumers, while others pursue gluten-free for alternative reasons. Here is an FAQ to help you navigate this landscape. This FAQ is not intended to diagnose, treat, cure, or prevent any disease. In general, the term “gluten” refers to specific proteins found naturally in grains (1). These are tenacious elastic proteins that are important for the texture of foods like bread, condiments, beverages, and soups. Grains like wheat, rye, barley, and their varieties (e.g. spelt, farro, bulgur) contain the proteins that make up gluten (2). Gluten-free grains include corn, oats, quinoa, rice, sorghum, millet, buckwheat, amaranth, and teff. It is important to note that although these grains are inherently free of gluten, they are sometimes processed in facilities which also process gluten containing foods which can lead to contamination (see below). Why do people eat diets that are gluten-free? Individuals with diagnosed challenges to gluten must totally avoid these proteins. Other individuals feel better on a low gluten or no-gluten diet, and still other individuals may avoid gluten for the perceived benefits, like weight loss or skin health (these benefits are unproven in people without gluten challenge). Gluten challenge refers to two conditions: Celiac Disease and Gluten Sensitivity. 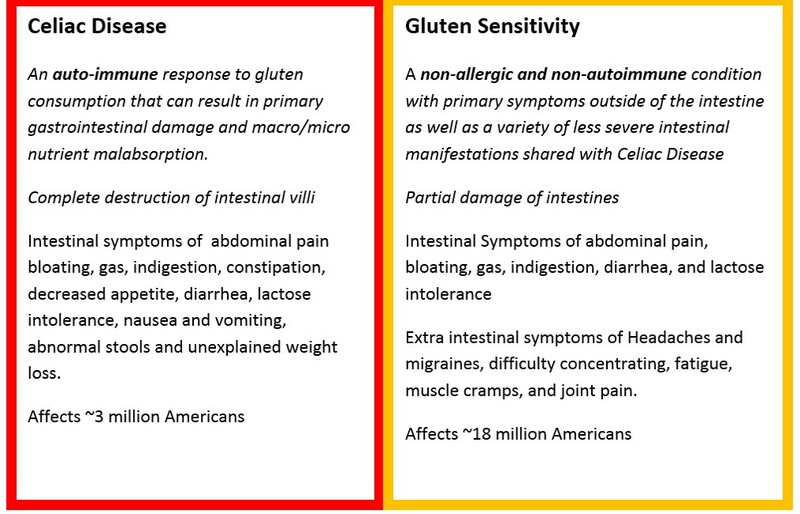 In general, both Celiac Disease and Gluten Sensitivity can be defined as conditions where consumption of gluten-containing foods results in intestinal and extra-intestinal damage by your immune system (3, 4). In some people, the proteins in gluten are highly antigenic, especially gluten’s sub-component gliadin, meaning they can activate the immune system. This results in inflammation of the intestines and which can decrease nutrient absorption, promote diarrhea, and cause general weakness and weight loss, depending on the severity of the response (5). However, Celiac Disease and Gluten Sensitivity have substantial differences. Celiac Disease is an autoimmune condition that damages the lining of the small intestine and prevents it from absorbing parts of food that are important for staying healthy (3). 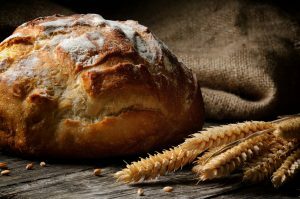 Gluten Sensitivity is a non-allergic and non-autoimmune condition with one or more of a variety of intestinal manifestations similar to those seen in celiac disease, as well as extra-intestinal symptoms not seen in Celiac Disease (4). Do you want to stay up-to-date with the latest in science-based nutrition? 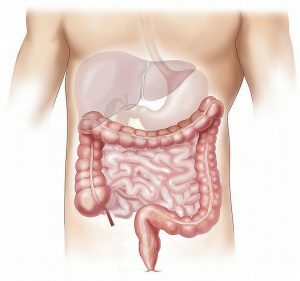 In Celiac Disease, gastrointestinal symptoms are often characterized by abdominal pain, bloating, gas, indigestion, constipation, decreased appetite, diarrhea, lactose intolerance, nausea and vomiting, abnormal stools (float, smell foul, bloody, or white), and unexplained weight loss (7). In contrast, Gluten Sensitivity’s gastrointestinal symptoms are limited to abdominal pain, bloating, gas, indigestion, diarrhea, and lactose intolerance (common when the person is diagnosed, usually goes away after treatment)(8). Both Celiac Disease and Gluten Sensitivity have extra-intestinal issues. However, in Gluten Sensitivity these extra-intestinal issues are more prevalent and include head aches and migraines, difficulty concentrating, fatigue, muscle cramps, and joint pain (8). It should be noted that in Celiac Disease, most of the symptoms outside of the intestines are secondary to vitamin and mineral malabsorption resulting from destruction of the intestinal villi (3, 4). What are the nutritional concerns for individuals with a gluten challenge? In 20-38% of those suffering from Celiac Disease, intestinal damage can lead to malabsorption of macronutrients (carbohydrates, protein, and fat) and micronutrients (vitamin and minerals). At initial diagnosis, most Celiac sufferers need nutritional intervention including extra Calories/protein, fiber, iron, calcium, magnesium, vitamin D, zinc, folate, niacin, B12, and riboflavin. Most celiac disease researchers and epidemiological evidence suggest that most individuals with celiac disease can tolerate trace amounts of gluten in foods less than 20 ppm gluten without suffering from adverse health effects (9). In addition, analytical methods that are scientifically validated to reliably detect gluten at a level lower than 20 ppm are not currently available (2). How do manufacturers test for gluten in their products? consistent. It is of note that many test kits detect gliadin, which is a component of gluten, so manufacturers must be aware that the measurement must be adjusted to represent gluten (e.g. 6ppm gliadin represents 12ppm gluten). Can gluten-free foods become contaminated by gluten or wheat? Yes. Although whole-grains or seeds like oats, amaranth, buckwheat, and quinoa are generally viewed as gluten-free, they may be processed in facilities that also process wheat, leading to recommendations to avoid such foods (10). This is most common with oats. In addition to being in the whole grain/seed, gluten peptides can be found in processed foods even where the majority of protein has been removed (starch, for example). The levels of gluten peptides in these products, when consumed as food (gram quantities), may not be sufficiently low to be safe for gluten challenged individuals to consume. This makes labeling a challenge for food and supplement companies, and creates frustration for individuals and companies alike. In these cases it is most important to identify these grains with labels indicating that have been tested to be gluten-free. If someone does have a gluten challenge, it is important for them to pay attention to the foods they are eating, even if the package claims the product is gluten-free, due to the possibility of contamination. If you think a gluten-free labeled product may contain gluten, sending a sample of the product back to the manufacturer to test is important in order to help the manufacturer test for gluten content and take appropriate actions. Some individuals are avoiding gluten but still having symptoms. What is wrong? Individuals may be eating food that contains hidden gluten or that is contaminated with gluten. Although the FDA published the definition of gluten-free in August of 2013, it did not take effect until August 5, 2014. Companies may want to suggest that consumers choose only trusted brands of food and supplements that use rigorous and validated testing protocols to verify the “gluten-free” label claim. Does eating a gluten-free diet have any side effects? Gluten-free diets are typically lower in dietary fiber, folate, niacin, and B12. 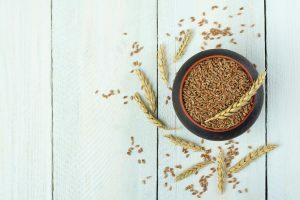 Individuals eating a gluten-free diet long-term will want to take extra care to ensure they are meeting their needs of these essential nutrients. (3) Providing these nutrients in gluten-free products is an opportunity for companies producing these products to help consumers eating a gluten-free diet meet their nutrient needs. McGee H. On Food and Cooking. Scribner, 1984. “Questions and Answers: Gluten-Free Food Labeling Final Rule.” FDA. FDA, May 02, 2016. Web. Accessed 01 Aug 2016. Saturni, L; Ferretti, G; Bacchetti, T. “The gluten-free diet: Safety and nutritional quality.” Nutrients 2.1 (2010): 16–34. “Celiac Disease Facts and Figures.” Celiac Disease Center. University of Chicago, 2014. Web. Accessed 01 Aug 2016. Marsh MN. “Gluten, major histocompatibility complex, and the small intestine. A molecular and immunobiologic approach to the spectrum of gluten sensitivity (‘celiac sprue’).” Gastroenterology 102.1 (1992):330-54. ADAM Medical Encyclopedia. ADAM, 2016. Web. Accessed 01 Aug 2016. Beyond Celiac. Beyond Celiac, 2016. Web. Accessed 01 Aug 2016. AOAC International. AOAC Official Methods of Analysis: supplement. (1995). AOAC official method 991.19: Gliadin as a measure of gluten in foods. Celiac Disease Foundation. Celiac Disease foundation, 2016. Web. Accessed 02 Aug 2016. Gibert A, et al. “Consumption of gluten-free products: should the threshold value for trace amounts of gluten be at 20, 100 or 200 p.p.m” Eur J Gastroenterol Hepatol 18.11 (2006):1187-95.